To celebrate the release of the new Paddington film on November 28 and London's cultural, historical and entertainment diversity as seen through the eyes of the world's most famous Peruvian explorer, Paddington Bear the makers of the film, Studiocanal have teamed up with the NSPCC (National Society for the Prevention of Cruelty to Children) and visitlondon.com to create a "Paddington Trail" across London dotted with 50 hidden Paddington statues near iconic must visit landmarks as well as less well known points of intrest. Being one for getting out and health - the Paddington trail sounds like a brilliant day out cycling or walking. Each of the 50 Paddington statues are unique and designed by celebrities including; Emma Watson, Benedict Cumberbatch, Michael Sheen, Nicole Kidman, Michael Bond, David Beckham, Rankin, John Hurt, Bear Grylls, Guy Ritchie, Jonathan Ross, Sandra Bullock, Hugh Bonneville, Stephen Fry, Peter Capaldi, Liam Gallagher, Sally Hawkins, Julie Walters, Ben Whishaw, Nick Mason, Andrew Lloyd Webber and Boris Johnson as well as many more. To find out where the 50 unique Paddington statues are, a variety of maps and custom trails to suit you and more information about the Paddington Bear Trail head over to: http://www.visitlondon.com/paddington/the-bears and don't forget to tag your pics #PaddingtonTrail to win some Paddington treats. 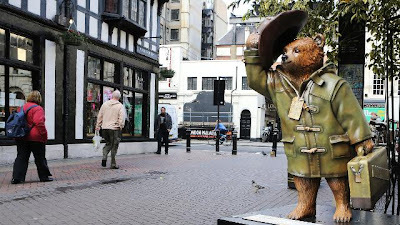 The Paddington Trail is coming to London to celebrate the city's cultural, historical and entertainment diversity through the eyes of the world's most famous Peruvian explorer, Paddington Bear. 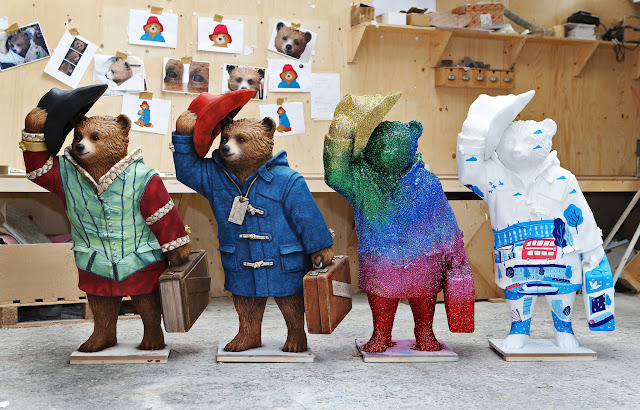 From 4 November to 30 December 2014 you will have the chance to explore London like a bear, uncovering 50 hidden Paddington statues along the way. A young English boy befriends a talking bear he finds at a London train station. A live-action feature based on the series of popular children's books by Michael Bond. 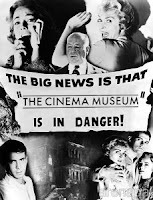 Each statue will be created by famous celebrities and designers and will be positioned close to London's top attractions and most exciting sites. 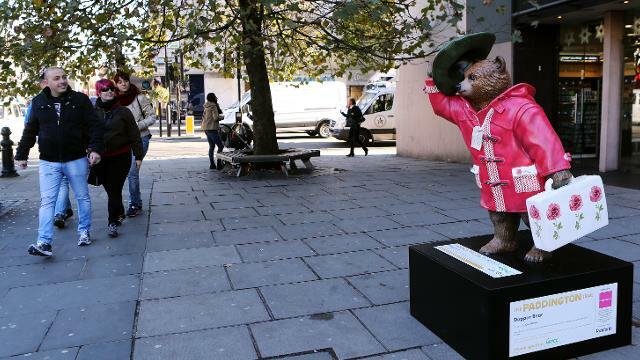 THE PADDINGTON TRAIL is now live in the streets of London, with 50 statues dotted around the city. 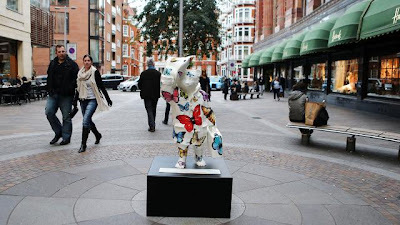 Visitors will be able to follow in the furry footsteps of the world’s favourite Peruvian explorer visiting locations across the capital from as far west as Heathrow through to the O2 in the east, taking in some of London’s key cultural and landmark hotspots such as The Royal Opera House, Museum of London, Horse Guards Parade, the Museum of Childhood and, of course, Paddington Station with the trail ending in Selfridges, from today, 4 November – 30 December 2014. 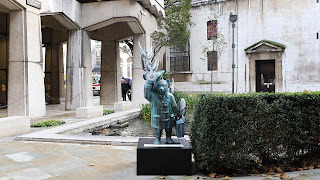 The Paddington Trail coincides with the release of Paddington the movie in UK cinemas from 28 November. 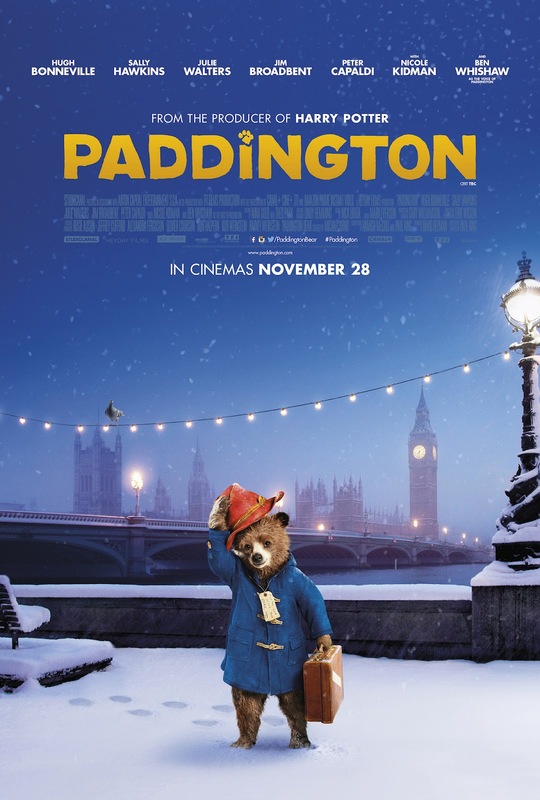 The movie includes stars such as Nicole Kidman, Bugh Bonneville, Julie Walters and Ben Wishaw as the voice of Paddington. David Heyman, the film's producer, was the man who brought Gravity and Harry Potter to cinema screens. 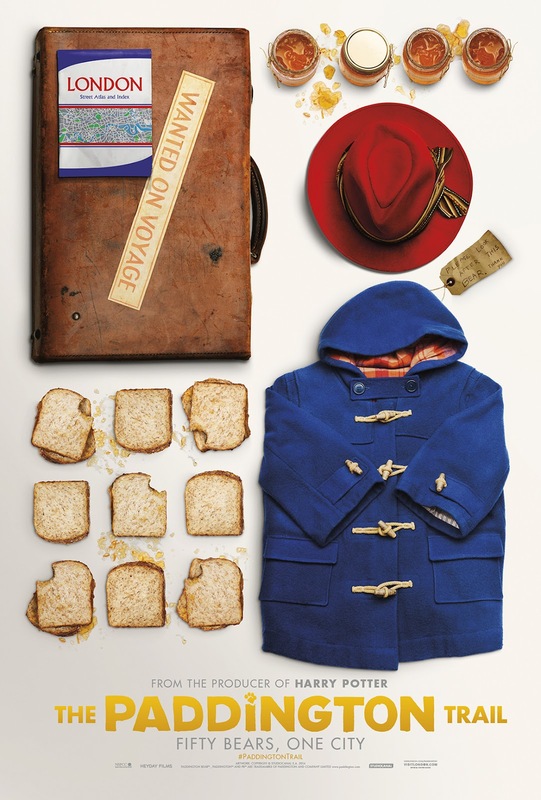 From the producer of Harry Potter and Gravity, and based on the best selling series of books by Michael Bond, PADDINGTON boasts an all-star cast, including Hugh Bonneville, Sally Hawkins, Julie Walters, Peter Capaldi, Jim Broadbent and Nicole Kidman with Ben Whishaw as the voice of PADDINGTON. Featuring an all-star cast and effects courtesy of award-winning VFX company Framestore, PADDINGTON is THE big family film of Christmas. Voted Best Animated Character at the 2012 British Animation Awards, and adapted from Michael Bond’s beloved books, Paddington follows the comic misadventures of a polite young bear with an endearing talent for comic chaos. Paddington has grown up deep in the Peruvian jungle with his Aunt Lucy who, inspired by a chance encounter with an English explorer, has raised her nephew to dream of an exciting life in London. When an earthquake destroys their home, Aunt Lucy decides to smuggle her young nephew on board a boat bound for England, in search of a better life. Arriving alone at Paddington Station, Paddington soon finds that city life is not all he had imagined – until he meets the kindly Brown family, who find him with a label tied around his neck which reads ‘Please look after this bear. Thank you.’ They offer him a temporary home whilst he searches for the explorer who impressed Aunt Lucy all those years before. 50 spots all over London from as far west as Heathrow through to the O2 in the east, taking in some of London’s key cultural and landmark hotspots such as The Royal Opera House, Museum of London, Horse Guards Parade, the Museum of Childhood and, of course, Paddington Station with the trail ending in Selfridges. When not watching or making films he takes pictures, eats, drinks, dives, tries to connect to nature whilst mentally storyboarding the greatest film ever made. 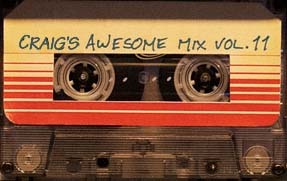 He also & sometimes utilises owl-themed gadgets to fight crime.